An increased residential population, as a component of revitalisation, means little without enabling urban design. A city where activity occurs only within private spaces, and where people are shuttled by automobile from building to building is hardly a picture of urban vibrancy. People, as pedestrians, must be encouraged to use the public streets at different times throughout the day and night. Boring, uninviting, and unsafe public spaces will be devoid of life. Everyone knows that a street forms part of the public realm, but seemingly few acknowledge that the façades of the private buildings that line a street also do. Not in the literal sense of ownership, but in a visual and functional sense. 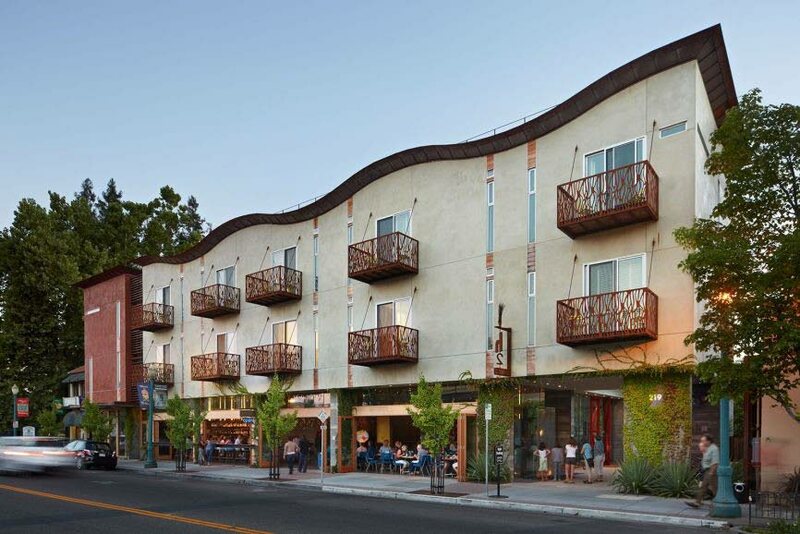 The required front setback, that is, how far a building must be located from the adjacent public space, should be small and be stated as a narrow range, as opposed to just a minimum. Distance regulates the intimacy of human interaction. Large front setbacks lead to a sidewalk experience that feels cold and of little interest. Furthermore, small front setbacks can increase pedestrian comfort. Urbanist Jan Gehl compares the effect to a party. The edges of the room, that is, the walls, are the first place that party-goers gravitate towards. Likewise, the building façades act as edges for public space, giving definition and increasing the sense of comfort. A narrow range of smaller setbacks allows for a more intimate and varied streetscape. H2 Hotel by David Baker Architects with an active ground floor use and high transparency. Photo by Bruce Damont. The façades of long buildings should require architectural modulation, that is, designed to look like a series of connected smaller buildings. Long horizontal stretches of undifferentiated façade tend to kill diversity and interest for the pedestrian, and also psychologically make walking distances seem farther due to monotony and exaggeration of horizontal distance. Another lesson comes from Gehl, as he explains that human eyesight has evolved to give us wide peripheral vision, but a much narrower field of view in the vertical plane, and when walking, we tilt our heads slightly downwards. This is an evolutionary defence mechanism meant to allow us to scan for threats which are more likely to come from our sides, or the ground as we walk. Ground floors shouldn’t be elevated too high above the level of the sidewalk, to ensure that the activity within buildings — in particular non-residential — and on sidewalks operates more or less on the same vertical plane (at the same eye level). Further, these buildings should also be required to have a relatively large proportion of ground floor façade that is transparent, to increase opportunities for sightlines between buildings and the sidewalk. Similarly, perimeter fences and walls shouldn’t obstruct these sightlines. Buildings should be required to have main entrances that face and open towards the public space, as opposed to being internally oriented. Balconies, windows, and other elements would allow for sightlines from the immediate upper floors as well. These same measures that increase the sociability and lure of public spaces in city environments actually are known to increase safety. Desolate and inhospitable streets are a recipe for urban decay, social disintegration and yes, increased vulnerability to criminal elements. A well-balanced mix of uses — especially at the ground floor — is necessary to encourage near around-the-clock street activity, and should be facilitated more freely. It is questionable whether any city area should be zoned as exclusively residential. One of the most beautiful and vibrant cities in the world, Paris, has only one zoning category (Urbaine Générale) that accommodates residences, cafes, offices, and more. This zone is further subdivided, not to separate different uses as we do here, but to regulate intensity of development, or the ratio of residential to non-residential building square footage. Safeguards though, should be developed to prevent a proliferation of one type of use within a given area, which harms vitality. For instance, preventing an area from having too many banks or bars. Large scale developments should respect the existing pattern of streets. Instead of creating massive, unbroken superblocks (think One Woodbrook Place), the site should instead be a continuation, or where feasible improvement, of the existing, adjacent street network. In the process, maintaining or enhancing pedestrian connectivity, with more possible routes, and therefore a more beneficial spread of activity and increased socialisation. 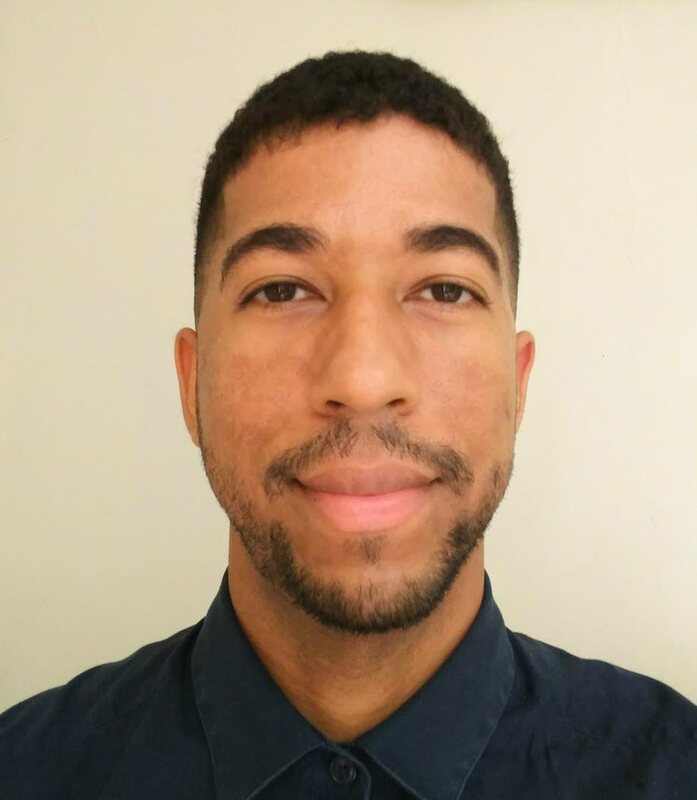 Ryan Darmanie is an urban planning and design consultant (facebook.com/darmanieplanningdesign) with a master’s degree in city and regional planning from Rutgers University, New Jersey, and a keen interest in urban revitalisation. Reply to "Zoning for urban vibrancy"